The latest news about Kobe Bryant and his knee injury state that the Black Mamba will remain sidelined for three more weeks. He will also miss the 2014 All Star Game. Multiple sources point out that Bryant feels internal swelling pain in his knees and that’s why he will have to extend his rehabilitation period. Now the Los Angeles Lakers face a significant question: Should they just keep Kobe out for the remainder of the 2013-2014 campaign? The Lakers can almost be considered as done for the season. The team currently stands in the second spot of the bottom in the Western Conference, holding a 16-30 record. 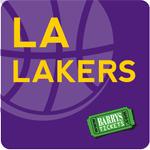 Due to very high level of competiveness within the conference, it will be almost impossible for the Lakers to overcome the 10-game deficit they have from the eighth-seeded team, which currently is the Dallas Mavericks. But even if they manage to get the ticket for the postseason they won’t go far. If the Lakers finish eighth, they will face the first-seeded team in the West, which will be either the Oklahoma City Thunder, the Portland Trail Blazers or the San Antonio Spurs. And it’s easy for every fan of the team to imagine what the outcome of such a series would be. As a matter of fact, if Bryant comes back this season the Lakers won’t see a big difference in their final ranking. Even the Black Mamba’s contribution might not be enough for Mike D’Antoni’s team to bounce back. In addition, the Lakers would also risk Kobe’s health if he is rushed back. The 35-year old Bryant certainly needs some time to fully rehab now that he has the chance. Allowing Kobe to fully rest for the season seems to be the most rational choice for the Lakers at the moment. The main focus of the team should be the near future, the upcoming season. That’s why they should take their attention off Kobe and start planning their next moves to strengthen their roster, either through trades or significant moves. The Lakers will also have to focus on the upcoming, star-loaded NBA Draft. Then they will have a great opportunity to land potential superstar. Certainly, Kobe Bryant is always a hot topic in LA. 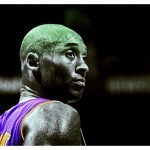 Every fan of the team wants to see him dressed up and ready to play when the Lakers are playing in the Staples Center. In fact, Bryant is one of the main reasons many fans support the team. Bryant is a big part of the Lakers franchise at the moment. Nevertheless, if the Lakers think rationally, they will realize that due to the bad situation the team is in at the moment, they will have to find the best way to bounce back quickly.